Aliko Dangote is Africa’s richest man. 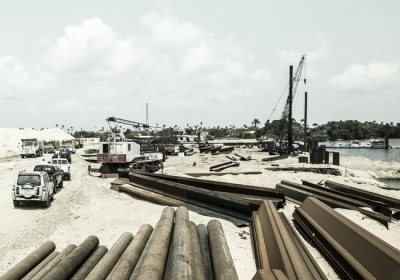 AFRICANGLOBE – A plan by Africa’s richest man to transform one of the continent’s largest oil industries is taking shape on a swampy piece of land outside Nigeria’s commercial capital, Lagos. Nigerian industrialist Aliko Dangote is constructing a refinery that has the capacity to turn 650,000 barrels of oil into gasoline, diesel, kerosene and jet fuel — enough to potentially satisfy all the country’s daily needs. When completed, it could end Nigeria’s reliance on imported gasoline and diesel. A weeks-long shortage of imported fuel that occurred earlier this year is one reason why economists believe Africa’s biggest economy is poised to enter a recession. 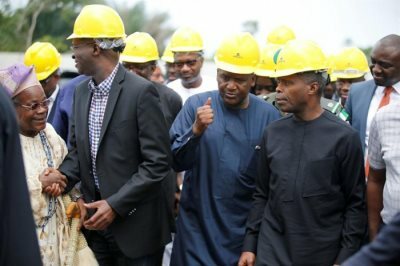 “By and large, you are looking at the future of the country,” Dangote, who made his $14.4 billion fortune from his sugar, flour and cement companies, told journalists during a visit to the construction site of the refinery and adjoining fertilizer plant. When Nigerians go to the pump, they’re usually filling up with imported gasoline and diesel. The country has four refineries, but they barely work, so Nigeria exports its crude and buys back the fuel it needs. “I mean, it’s simple, you have it here. As you’re producing, it’s going into the market,” he said. When completed the Dangote refinery will be one of the largest i the world. Nigeria is Africa’s largest economy and most populous country. Those aspects may ultimately undermine Dangote’s ability to serve the country’s fuel needs, said oil and gas analyst Bala Zakka. Nigeria doesn’t produce enough power to keep the lights on all the time, and those who can afford it rely on gasoline or diesel generators. “Strategic domestic, strategic commercial and strategic industrial are being run on generators. And those generators will require so much diesel and petrol. And that will mean we will not have even enough for the automobiles,” Zakka said. Another problem Dangote may face is oil supply. Pipelines are targets for oil thieves and, more recently, organized militants. Attacks by a group calling itself the Niger Delta Avengers have cut Nigeria’s oil production by as much as half. Refinery administrators have cited pipeline attacks as one reason they can’t produce enough gasoline. If Dangote’s refinery pays off, Zakka said it will be a signal to other refiners that Nigeria is ready for investment. “I wouldn’t want to say he’s a guinea pig, but Dangote is definitely going to be a pilot test,” Zakka said.